It is a very strong movie that you definitely must watch. At first, we have to inform you of its name and what does it mean. There is a woman who had lost her daughter nine months ago, according to the script (raped and murdered), and she sees no actions from the local police authorities. They do nothing, as she thinks, and she becomes a rebellion because of that. She comes up with an idea to use a commercial space on three billboards that are installed on the edge of the city (Ebbing) to ask and condemn the police why didn’t they do anything. Despite she has the constitutional right to do that, and her grieving sorrow is perfectly understood, she meets furious resistance from the local police who are deeply dissatisfied with the fact itself and the way they are mocked and the local residents too. It even comes to the fact of incapability of reception of simplest dentist help when her tooth hurts as hell, ‘cause dentist is also against her. So a woman decides to rise up and fight back with all her zealous fervor she has in her soul, go against the system and mourn about her daughter who was the only beam of light in her life. In the US, the film is going to be screened on November 10, and in the UK – on January 12. It was screened in Venice at the Festival and received the highest prize of 2017. 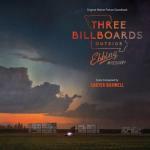 The film stars Frances McDormand as the main heroine, Woody Harrelson as the chief of police service, the main antagonist, and supporting cast: Sam Rockwell, Josh Hawkes, and Peter Dinklage.